Laundry is generally one of the most hated chores for most people, yet it is one of life's most essential domestic tasks. 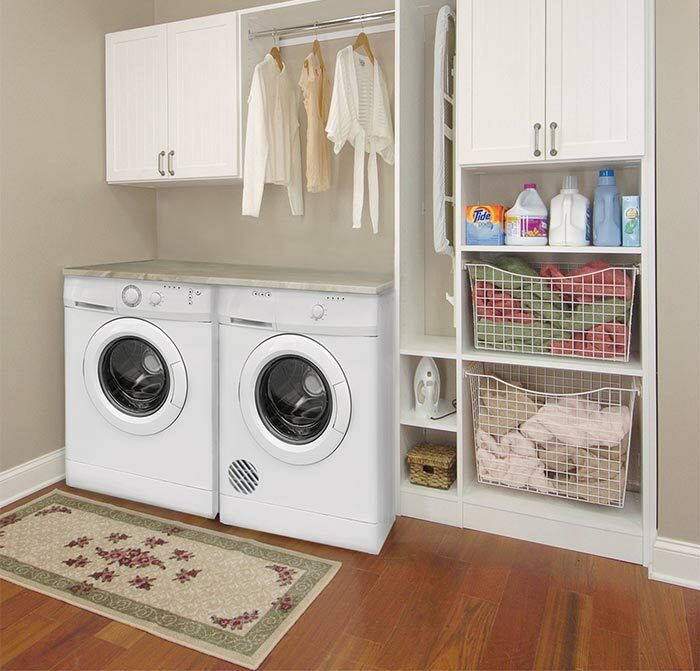 This custom laundry room storage solution gets a handle on the typical family laundry mess and makes the whole room a pleasant and desirable place to spend time. The simple white finish adds a clean, bright appearance, while pull-out baskets allow the darks to be separated from the lights. 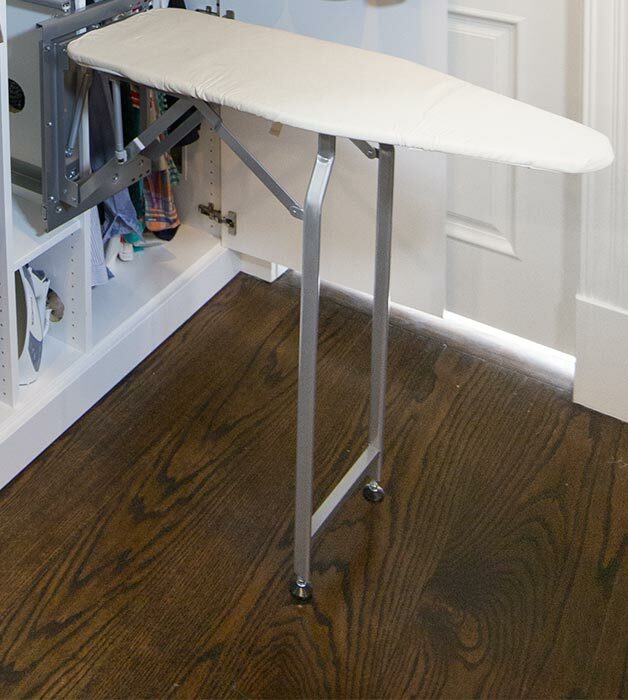 Upper cabinets and a hanging rod add functional storage, and a fold-out ironing board makes the least favorite part of doing the laundry as easy as possible. A system like this can make a big difference in streamlining family laundry chores. Can you imagine wanting to show off your laundry? You just might if you had a space like this!